Dr Rick Wolfe was recently invited to speak at the third SynergEYES conference in Sydney. 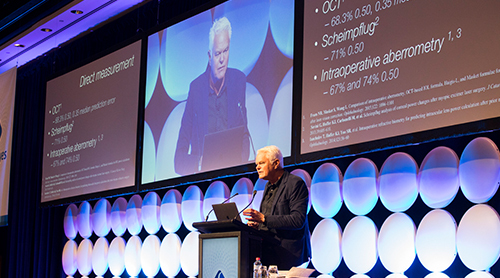 SynergEYES is an annual educational forum which addresses clinical needs, trending topics and latest technological developments in Ophthalmology from highly respected local and international speakers. 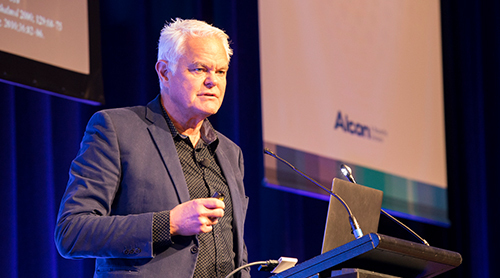 This year’s conference, which was attended by over 120 delegates, addressed key areas related to cataract and refractive surgery, including complex case management, advanced biometry, and latest research and updates on new and progressive technology. 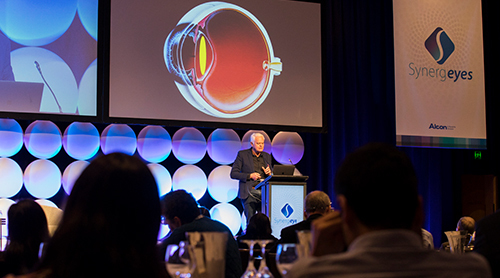 As a leading expert in the field of cataract and refractive surgery, Dr Wolfe was invited to provide the key note address at the conference dinner, discussing the recent launch of Alcon’s Clareon® intraocular lens (IOL) with the AutonoMe™ Delivery System for cataract and lens exchange patients. This entry was posted	on Wednesday, July 25th, 2018 at 5:30 pm	and is filed under In the News. You can follow any responses to this entry through the RSS 2.0 feed. Both comments and pings are currently closed.